Dean is currently the Vice President of Finance at Castle Resorts & Hotels, Inc. He has been there for twenty-one years and is a graduate of the University of Hawaii with a BBA in accounting. When his cousin was diagnosed with lupus and needed a kidney transplant, he decided to get involved and help raise awareness in our communities. In 2013 he adopted his son from China. He has been a busy dad, husband and lupus supporter and continues as a member of the Advisory Council for the foundation. 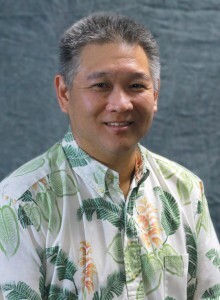 He is also actively involved with the Hawaii International Child. In his spare time he enjoys playing golf and tennis.